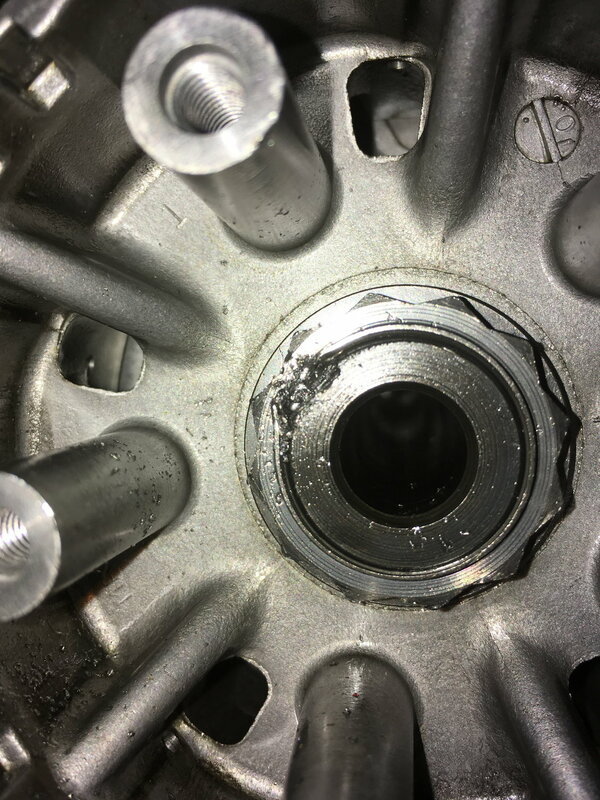 If that were in my shop, I would pack that side of the motor with paper towels , spray said towels with WD40 to help stuff stick, then put a carbide bur in an air motor and carefully cut away the nut and such at the point of issue. When you have removed what you think is enough, try and loosen the nut.. me Id use my SO MG725 impact on full blast ...after that you will have to dress up the last few threads and keyway, and use a new nut of course. Id bet it would take me longer to put the paper towls in and spray um down than get the nut off. A Dremel and a few grinding stones would work as well...just puts a ton of abrasive in the area where the carbide but just makes metallic "chips" that will mostly be caught in the towels and the rest can be picked up with a magnet. If you use the grinding stone,,,,,,, I would suggest you have ready a few cans or brake clean and or kerosene some type of sprayer and flush that side of the motor well, changing the oil AFTER you do that. Then change the oil and filter again after just one long ride. 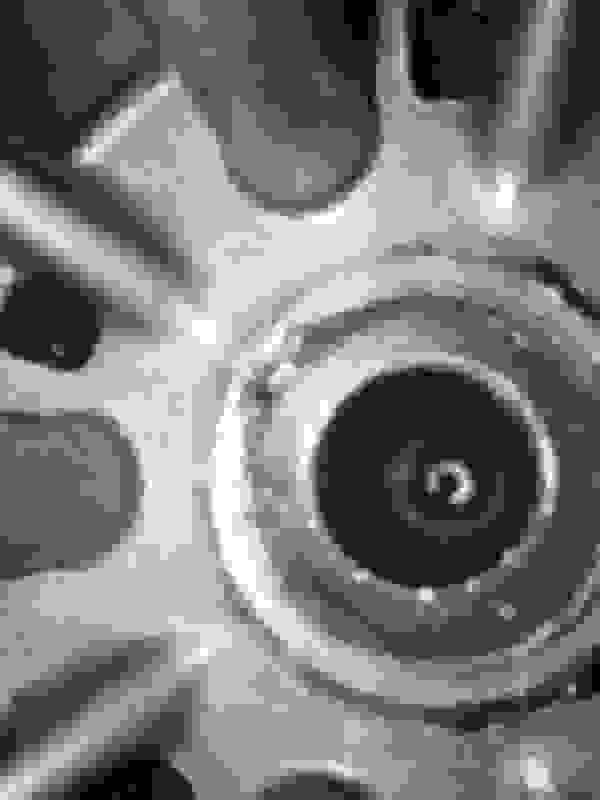 Rear axle nut - how many mm's ? Has anyone seen my nut$!?!? 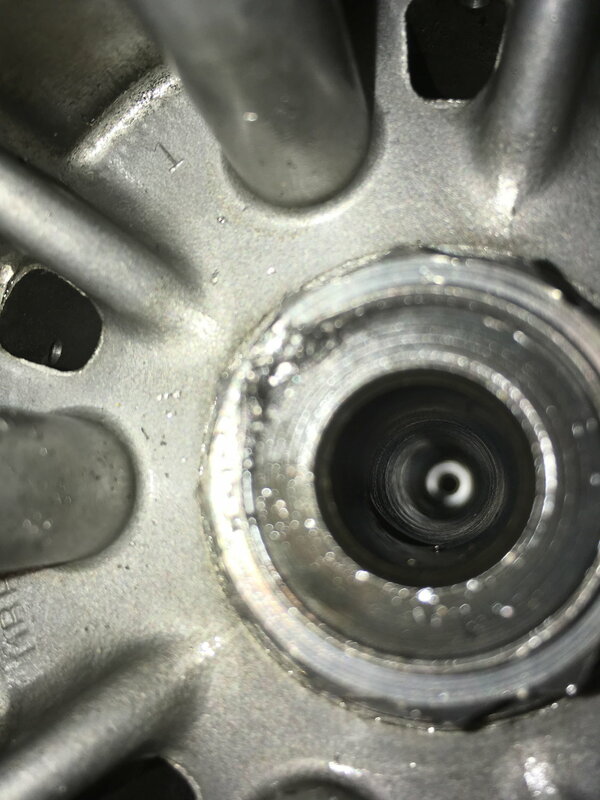 (Sort of) Stripped out nut?